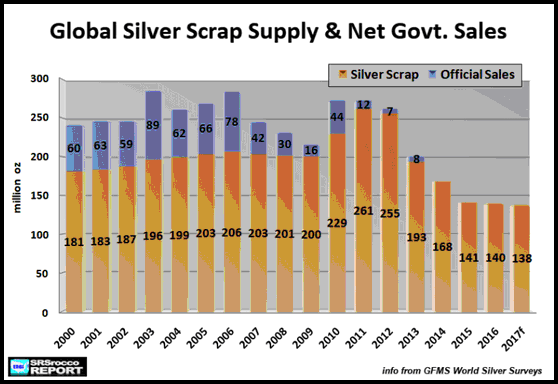 The United States is fast losing control of the silver market, from a production standpoint. The US is a minor silver producer, yielding to Mexico. The US has yet another example of the paper tail wagging the dog, but where the US is no longer a major player in the silver global output. Control is shifting elsewhere, to its producers, and to precious metal advocates.